This Spacious Three Bedroom Three Bathroom Semi-Detached Villa is being offered to the open market in immaculate order throughout. Mandria village has a nice blend of old and modern charm, which makes it a unique and a popular place to live. This small village sits peacefully nestled close to the Mediterranean Sea, only 15 minutes outside of Paphos Town Centre, 5 minutes from Paphos airport and 25 minutes away from Limassol. The closest neighbouring village is Timi. The unspoilt Beaches are within a 15 minute walk from the property. The Village Centre where all local amenities can be found is just 5 minute walk. The American Academy School less than a 10 minutes drive away. To the left side of the property there is a Private Driveway. The Main Entrance leads into the Bright and Spacious Dining Area. The main Living Area is also bright and spacious to the right of the dining area. Sliding Patio Doors from the Living Area lead out to the Covered Private Veranda and Patio Garden. An Archway from the Dining Area leads through to the Large Separate Kitchen. The Kitchen is very well equipped with a good range of wall and base units and fitted wardrobes. All White Goods are included in the sale price. The Door from the kitchen leads out to the Ample Tiled Private Sun Terrace to the rear of the property. Also on the Ground Floor there is good sized Guest Cloakroom with a Shower Cubicle. On the First Floor there are Three Double Bedrooms. All bedrooms have Fitted Wardrobes, and are served by a Family Bathroom. The Master Bedroom boasts an En-Suite Bathroom and shares a balcony with the 2nd Bedroom. The Balcony offers an al fresco relaxed seating area with some nice Sea Views. The Third Bedroom also has a Private Balcony offering views of the Beautiful Landscaped Park nearby. The Property has Air Conditioning and Ceiling Fans Throughout. All White Goods are included in the sale price and Furniture is available by negotiation. 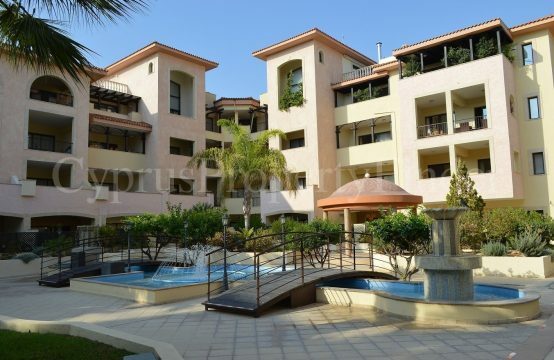 This property certainly offers excellent value for money, and is ideal for permanent living, holiday use or rental investment.